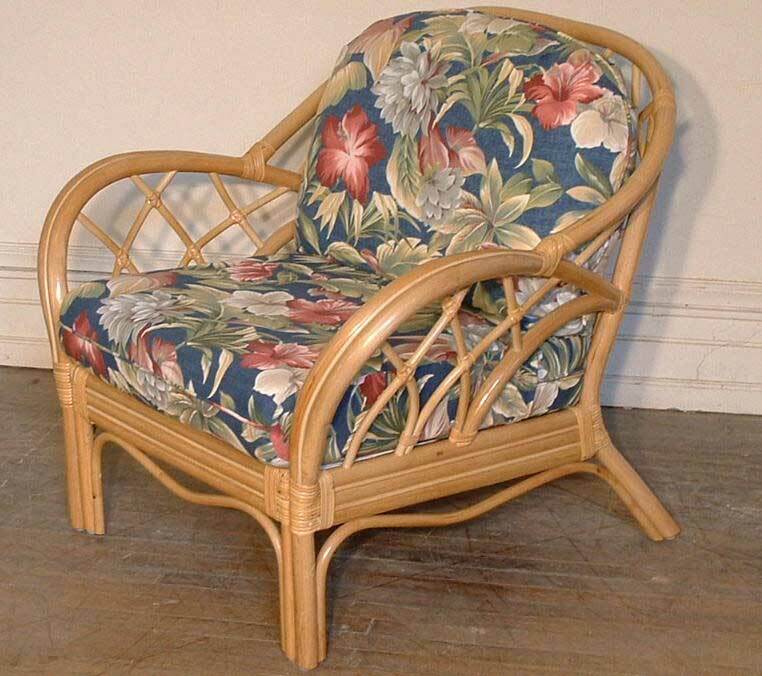 Our Deep Seating Rattan Chair Cushion Sets Are Made In The USA! This is our standard design two-piece replacement cushion set for a rattan chair or similar furniture that require a rectangular seat cushion with square corners and back cushion with an arched (rounded) top. Cushion sets consists of a six inch thick foam seat cushion and six inch thick fiber filled pillow style back cushion with the option to make it tufted. Both the back and seat cushions have welting (piping or cording). A single line of welting is included on the back cushions and the front center face of the seat cushions. The chair seat cushion is 25in. Wide in the front tapering to 23in. Wide at the back. The Seat is 24.5in. Deep x 6in. Thick. For our standard design, this chair cushion has squared-off front and back corner. Constructed of high density solid foam and customer's choice of fabric. Foam is covered with Dacron wrap to improve ware and softness. Seat fabric cover is zippered and removable to make it convenient for cleaning. The chair back cushion is 25in. Wide x 6in. Thick with no tufting. You have the option to choose either a 18, 19, 20 or 21 inch high back cushion height.The back cushion has an arched top (Rounded Top) and the has a zippered removable cover with casing inserts if not tufted. If tufted, inner casing can not be used but covers still have zippers. Pure spun polyester fiber is the fill material used for the back cushions. Casings or back cover are generously filled creating a luxurious soft feel. Using inner casings allows you to remove the zippered back cover for cleaning without having to deal with residual fiber clinging to the inside of the cover. To order with inner casings, select "No Tuft" in the "Tufts" option.